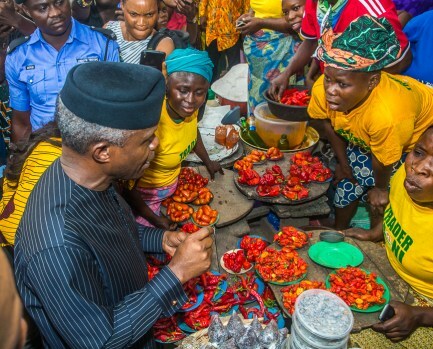 According to the initiative, the program is aimed at providing affordable loan to petty traders across the country. It however states that trader moni shall be accessed with minimal stress, collateral waded off, having been the limiting factor hindering petty traders from accessing loans from credit issuers like the commercial banks in the country. Championing this program on behalf of the federal government is Bank Of Industry (BOI). • Any petty trader who so wished to access this “Trader Moni” must have a verifiable means of identification like the national ID card, PVC inclusive but not compulsory. • The first and ongoing phase of the Trader Moni allows traders to access but N10k which does not require bank account or BVN. However the later stage of N50k will require proper documentation including bank account and BVN. • Acting on behalf of this scheme are selected agents called trader money enumerators at varying locations, they are likewise expected to register traders and keep their identities. • The Trader Moni money principal of N10k attracts overall interest of N250. There had been series of arguments and concerns specifically on the Timing of the Trader Moni initiative. In view of the 2019 general election, this scheme had been politicized, while the government is being accused of using the scheme to canvas and solicit for cheap votes and why such initiative should be left late to kick start. The public and petty traders had been advised to take the money and use same to cushion the effect of bad governance on their wellbeing, as such cannot in any way promote a healthy and sustainable business.